Last year, Instagram began the process of changing their API to a Graph API. The upgrade, which is available to all developers, means that the app's API will be built on the same stack as Facebook's Graph API. Businesses can now tap into the metrics and access insights through the Instagram app. Mentions API - allows businesses to see media they have been tagged in or @mentioned in so they can reply. Business Discovery API - businesses can see how other companies, including their competitors, manage their Instagram presence by viewing their organic posts. Insights API - gives businesses the ability to analyse metrics about their profile to gain greater insight. Comment Moderation API - allows businesses to engage with their audience more efficiently through the comments on their Instagram media. Learn more about the key features of the API update and their functions in here or stay here for your key takeaways. What Does the Update Mean For You? No more late-night Instagram posting, for a start. Last month, Instagram announced they were now allowing businesses the ability to schedule posts without using third party tools. 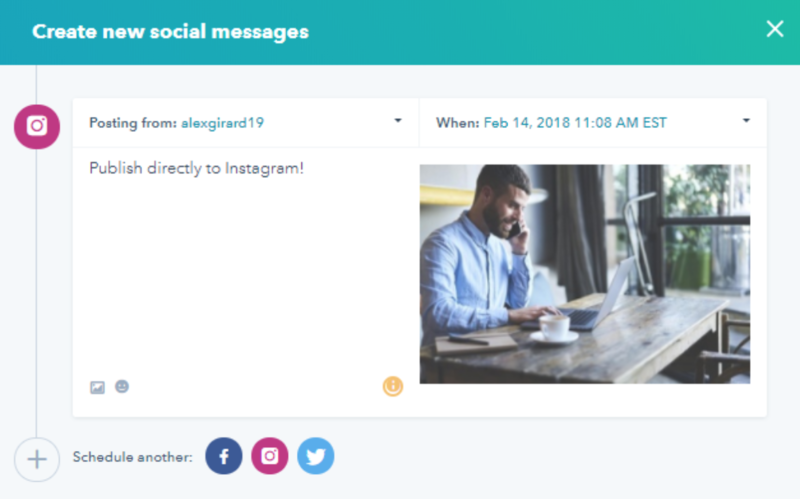 Social media software applications, such as Hootsuite and SocialFLow, now also have access to this function as well as all of Facebook and Instagram's Marketing Partners. Before this, the closest we ever got was the Drafts tool where you could prepare a post and save it for future publication. Not only is this update long overdue, but it's also very useful. Why? Well, you're probably already using insights to track the metrics for your content and overall Instagram presence (using Instagram's new built-in functionality, no less), so you'll know at what times your audience is most active. You can now schedule posts to be rolled out at these peak times to engage with your followers, which leaves your hands and brain free to focus on other aspects of your marketing strategy. HubSpot have released this in Beta. How Does This New Tool Work Alongside the Other Updates? The new Post Scheduling tool helps to enhance the benefits already produced by the features of Instagram's Graph API. For example, the Mentions API and Comment Moderation API help to improve interactions between businesses and their consumers by allowing them to keep track of their tags, mentions and comments alongside where they do this for their other platforms. This is a huge benefit to inbound marketers like yourself because you can nurture the relationship that you have with your potential and current customers across one of the key platforms and be able to analyse accordingly. The Insights API and Business Discovery API are even more useful from an analytical perspective. Insights allows you access to valuable data about your Instagram business profile so you can analyse these metrics. Business Discovery lets you learn about how other businesses are building and managing their Instagram presence. The two combined allow you to gain more a in-depth understanding of the Instagram landscape. Because your posts can now be automatically rolled out, you can focus on the analysis of your Instagram content instead - such as seeing what's working and what's not on your profile and learning how your competitors have been marketing similar posts. You can then take that knowledge to optimise the performance of any other pieces of organic content you might post in the future. 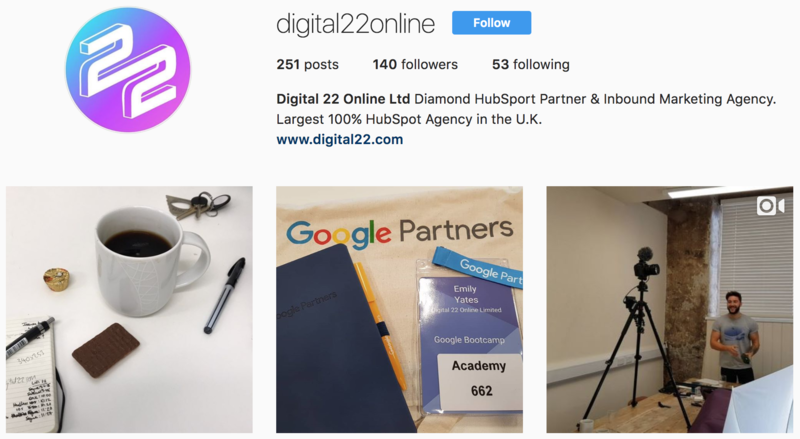 The new Instagram API update may have helped you gain a better understanding of the Instagram landscape but there's still so much to consider when it comes to inbound marketing. If you want to maximise the results of your strategy, you can't forget the marketing automation platform. Ensure you've chosen the right one for you and your business by downloading a FREE copy of our CMS Comparison Guide, which pits four of the most popular platforms against each other, revealing the good, the bad and the ugly so you can be sure you've picked the one that suits your needs. Google Hates SEO - So Why Bother with Inbound Marketing?